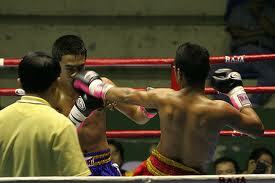 Muay Thai – Thai kick-Boxing is the national sport of Thailand. It is one of the purest forms of martial art and one of the most exhilarating and brutal too. Muay Thai dates back to ancient times; it was under the rule of King Chulalongkorn (Rama V) in 1868 which brought in a golden age for the sport. Muay Thai progressed rapidly during His reign (Rama V), the king is said to have had a very strong affection for the sport. Because he wanted everyone who could physically learn the craft to become masters of it. Thailand at the time was a peaceful nation, much like today in fact. The King thought it would be good for the country to enjoy such rigorous exercise. Whilst learning how to defend themselves; it would also teach them respect for one another, personal advancement and discipline. During this time there were many camps set up throughout the country, where students could go and learn the art from the Masters. They would be fed and watered and given a place to sleep. The students would all be treated the same, regardless of class or standing in life. They were all treated like one big family, and they would usually adopt the training camps name as their own. And today, up and down the country there are countless boxing gyms offering courses on how to become a better Muay Thai fighter. In fact, people, not only Thais but people from all over the world, come to train at the home of Muay Thai. Like many full contact sports, Muay Thai is very much focused on the conditioning of the body. 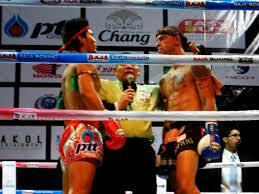 Muay Thai is designed to encourage levels of fitness and toughness which is required for the boxing ring. Training routines also include such exercise as running, shadowboxing, skipping, weight Training, abdominal exercises, and cardio. Muay Thai boxers rely heavily on kicks utilizing the shin bone. These guys really are hard as nails and will repeatedly hit a dense heavy bag with their shins, conditioning it, hardening the bone through a process called cortical remodeling. Koh Samui houses some of the best gyms in the country. 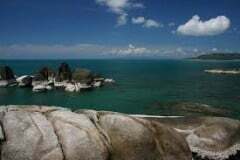 In fact, there are several top trainers operating from this amazing little island in the Gulf of Thailand. After the intense training schedules that these guys go through they will then be ready for the ring. Here on Samui at the Chaweng Boxing Stadium fights are held twice a week with high season allowing a third night of boxing. Fight nights are held on Monday and Friday and during high season sometimes on a Sunday too. The fights start around 9 pm, starting with the lesser experienced guys leading up to the main event. The atmosphere in Koh Samui’s stadiums is second to none, there is a live commentator and of course all the traditional Thai music. Both Thai and foreign fighters compete in the ring, and the fights can become very aggressive and not always for the faint of heart. Most of the guys and girls, by the way, are international professionals or professionals who train at local Muay Thai gyms. On occasions, you get some gyms coming down from Bangkok or other areas to see who the best is. There are two boxing stadiums in Chaweng, and both hold regular Muay Thai bouts. To see this amazing martial art in action here on Koh Samui, just come along to the Chaweng Stadium. Also, there is another stadium called Petchbuncha near Laem Din market. The fights are well advertised in the days before, both with flyers and mobile trucks patrolling the island with loudspeaker announcements. Thai boxing is a massive part of the culture here in Thailand. No trip would be complete without at least going to see a couple of fights before heading back home. These guys train hard real hard and are pure athletes, you will love it.